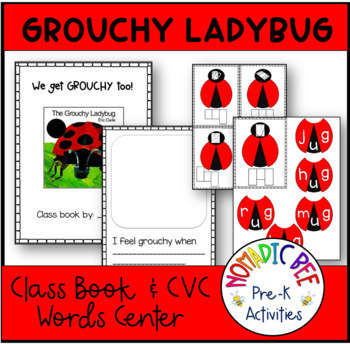 Ladybug Theme 'I Get Grouchy Too!' class book and CVC Literacy Center activity. 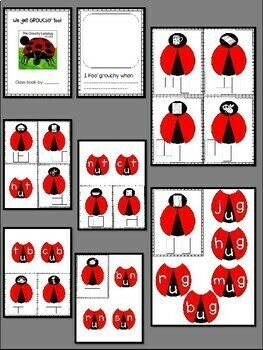 Using the amazing story of the 'Grouchy Ladybug' by Eric Carle to discuss our emotions and that it is o.k. to be grouchy too sometimes. The children will then make a class book of things that make them grouchy. 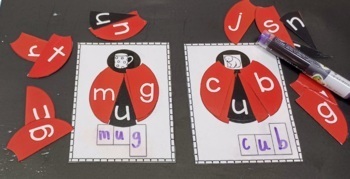 Included is a Literacy Center Activity. Simply cut out and laminate. The children then build the short /u/ sound words. Enjoy!